Lung cancer. 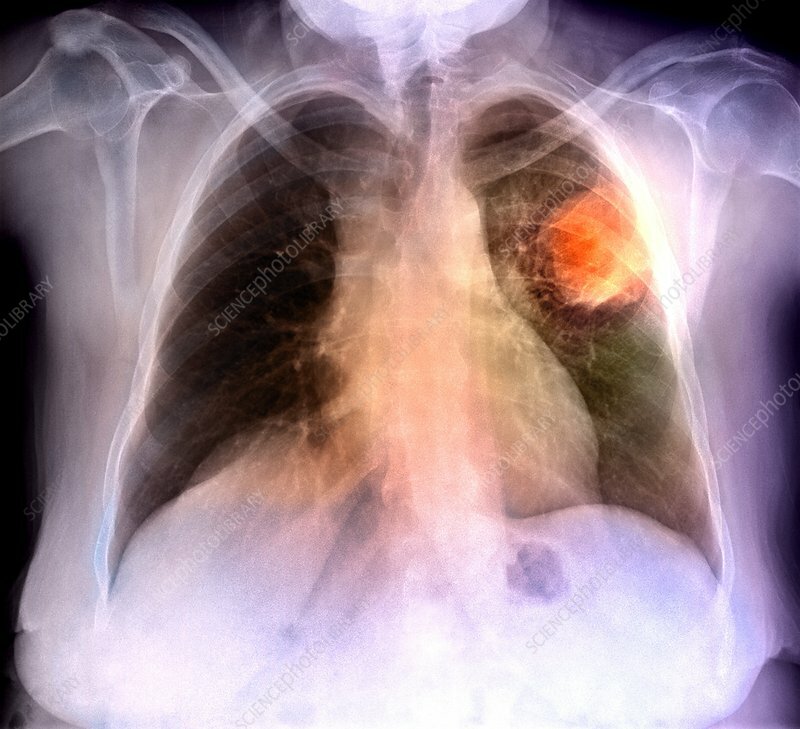 Coloured frontal X-ray showing cancer (orange, upper right) in the left lung of a patient. The main cause of lung cancer is inhaling cigarette smoke. Symptoms of this type of cancer include chest pain, shortness of breath and a persistent cough. Treatment is with a combination of chemotherapy and radiotherapy.